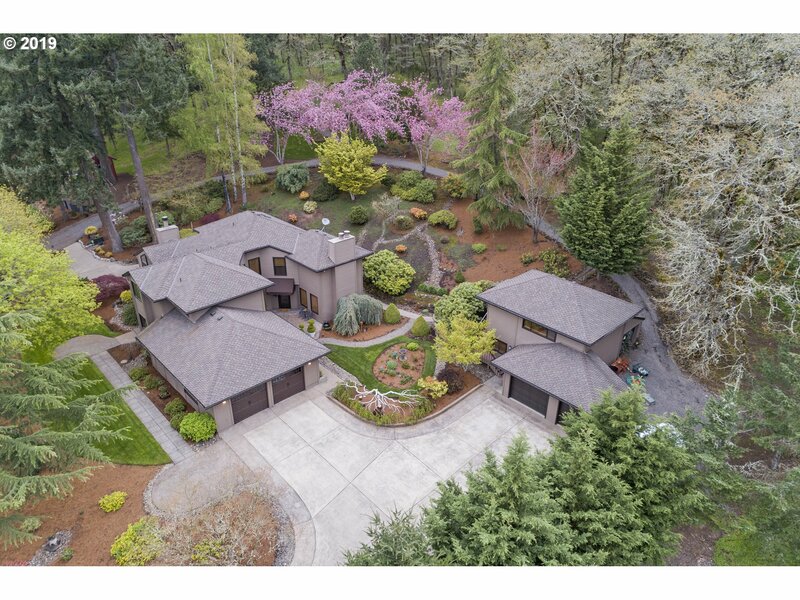 All West Linn homes currently listed for sale in West Linn as of 04/24/2019 are shown below. You can change the search criteria at any time by pressing the 'Change Search' button below. "Villa de l'or DEFINES LUXURY! Bountiful treasures are offered by this banner estate! Utterly private, yet AMAZING mountain views! Old world formality blended w/all modern conveniences! Sprawling main residence, pool salon, & wine vault building- An Entertainer's Dream! A true oasis, it also has a productive vineyard, soccer field, tennis ct, theater, gym, & MORE! -48.61 ac. 14bd, 13ba & 3.5 baths. A Palatial Paradise min. fr Portland!" 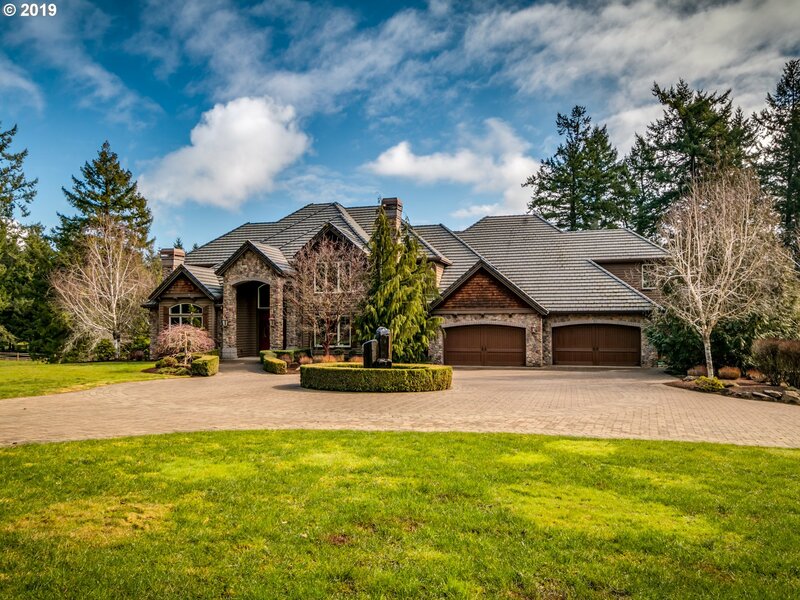 "A true Northwest estate in the heart of West Linn's wine country. Fronting the 18th fairway of the Oregon Golf Club this artfully built & meticulously maintained 19 acre grand entertainer has the best of all worlds; main floor master, gourmet kitchen w/great rm, full bar, billiard room, media room, en-suite guestrooms w/walk in closets, oversized 4 vehicle attached & 6+ detached garages, covered outdoor kitchen all w/ ultimate privacy!" "Elegance and warmth radiate throughout this thoughtfully designed country estate. Set on just under 20 acres, this home is both comfortable and extraordinary. High ceilings and walls of windows are the backdrop for over 9,000 square feet of luxurious living with views from every room. Seven bedroom suites, most with balconies, a stunning gourmet kitchen, pool, outdoor fireplace, guest cottage and space to create horse facility or farm." 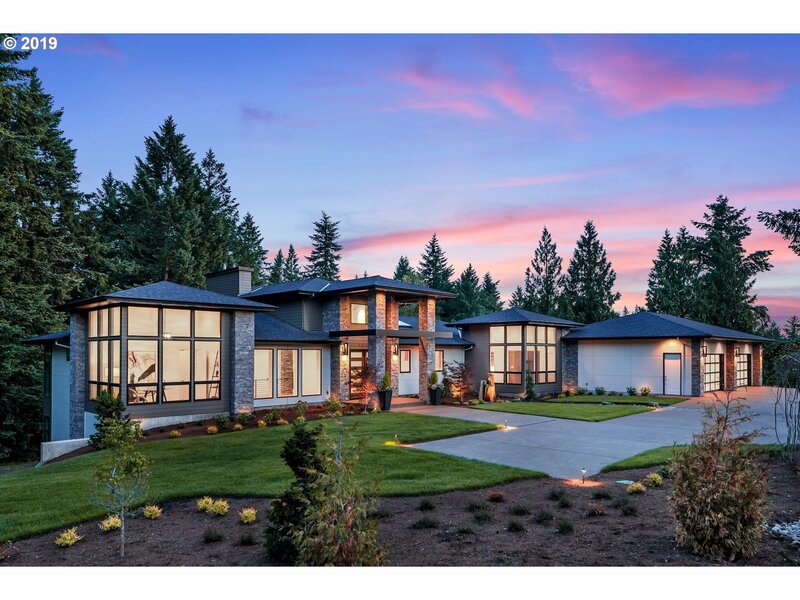 "Amazing Custom Modern home on 4.5 acres located in West Linn just minutes to schools, stores and restaurants. Soaring 18 ft ceilings, Master on the Main, huge oversized 4 car garage and tons of storage. Room for pool, Sport Court or additional out buildings. Top of the line finishes throughout. Built by award winning builder Mountain Wood Homes." "Open 4/23, 12-3pm. Beautifully custom built home on 3.21 acres offering privacy with wooded territorial views overlooking a creek and your very own apple/pear orchard. Luxury abound in every detail with His and Her Dens, four bedroom suites, in-law quarters, movie theater room, and game room. See attachments for more details and video tour." "Top of Pete's Mountain!This property is the most incredible property you will find. There is absolutely nothing like it. Views of 3 mountains, lots of flat/semi flat pastureland, as well as several acres of nicely landscaped grounds. Mostly level w/gentle slope. Gated 1/8 mile birch tree lined driveway to this private estate. Ask about plans for guest house.L/A owner"
"Gorgeous NW traditional home on large secluded lot just minutes from the Oregon Golf Club. Elegant entertaining areas & ample room to grow. Gourmet kitchen, huge windows, beautiful master suite, 3 levels, upstairs bonus room, and daylight basement with bar & theater. HUGE heated shop with endless potential for sports, toys, or home-based business. Luxury finishes throughout in a livable, perfectly-located home." "It's time to move on! Listed at appraised value 3+ years ago- Seller has over $3.4M invested; Must see to appreciate! Custom Craftsman home designed by Paden Prichard for himself incorporating some of his personal collection of architectural antiques. Updated for entertaining- Amazing attention to detail! 24+ ac. of privacy landscaped by Master Arborist Terrill Collier incorporating a variety of select species. Guest House & heated yurt"
"Situated beautifully on nearly 3 acres this custom designed home is stunning while also being inviting, warm & comfortable. From the grand entry thru out the main level the lg Central OR Pine Beams frame the two story entry, great rm area, floor to ceiling windows & the lodge like stone fireplace. The kitchen will delight even the finest chef w/Commercial grade oven/stove & vent, 6 burners w/griddle & Two Ovens (gas & electric) & MORE!" "At the gateway to wine country lies this spacious country home w/amazing views & an organic Pinot Noir vineyard yielding 150+ cases/yr. 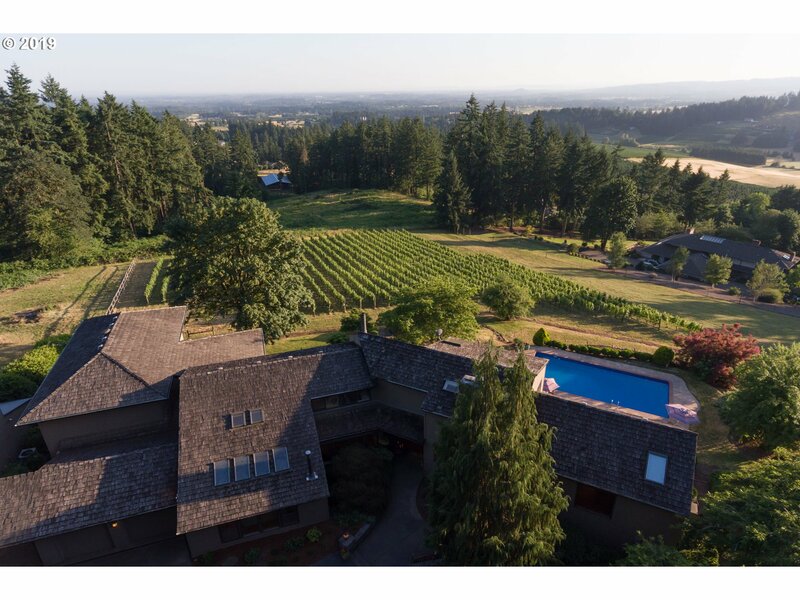 Fulfill your wine making dreams w/2 winery bldgs producing 9500+ cases/yr.The home is 7000sf of warm, light filled rooms w/exposed beams & windows framing sunset Willamette Valley views. Amenities include wine cellar, pool, indr racball court, fitness rm, 2-level apt w/full kit. Tasting rm or B&B poss." "Stunning Stafford Estate located in the coveted gated community of Stafford Hill Ranch. SHR is a gated community of multi million dollar estates. This home has been remodeled throughout, and most of the work was done by Neil Kelly; a nationally recognized remodeling/design firm. It is tucked on the north side of the ranch, and has 180 views of Mountains, territorial views as well of city lights and star lights by night." "Exceptional new construction home by Silver Oak Custom Homes located in executive Bosky Dell neighborhood. Luxurious main level master suite, great rm floor plan w/formal dining room & study. Covered terrace w/raised hearth & masonry fireplace. Perfectly situated on 1 acre parcel in fabulous country setting. West Linn/Wilsonville Schools. Convenient to I-5/205 & historic Willamette/West Linn community. June 15th approx completion date." "Rare horse property in gorgeous Stafford Basin area! Private spring fed pond, classic barn and a 205 x 115 covered riding arena with 21 stalls, wash rack & cedar tack rooms. opportunity boasts a wonderfully remodeled home with sunset views from 3 decks. Lower bedroom non-conforming. 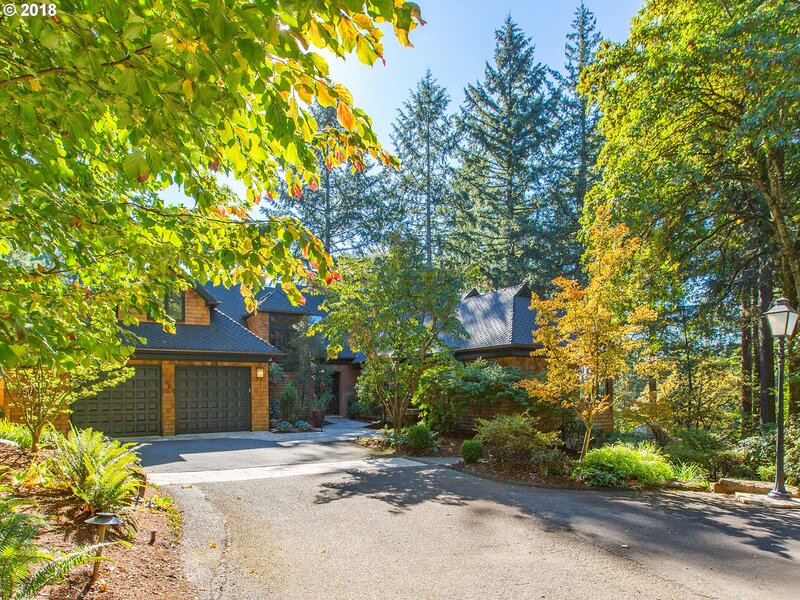 I-5/I-205 access, shopping, golf, wine tasting and the Willamette River within 5 minutes. Downtown Portland only 15 miles away." 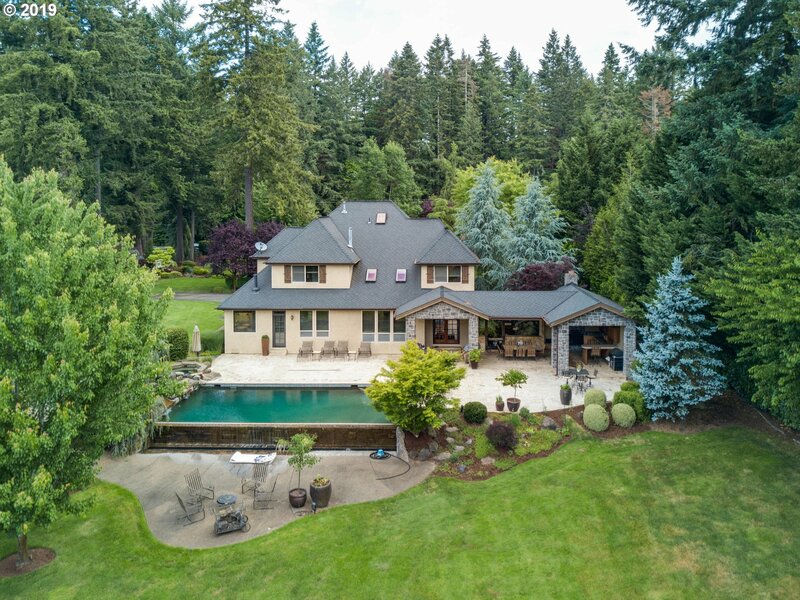 "3 fully fenced & gated landscaped acres on the Tualatin Riverfront,minutes from Stafford &West Linn!Private &serene w/waterfall feature & outdoor fire pit,gorgeous custom home features a gourmet kitchen w/48 Viking range,10'foot ceilings, extensive mill work including vaults w/exposed beams,integrated sauna room, 100ft driveway,home office with separate entry & its own bathroom & 5 beautiful master suites w/ majority of sqft on main." 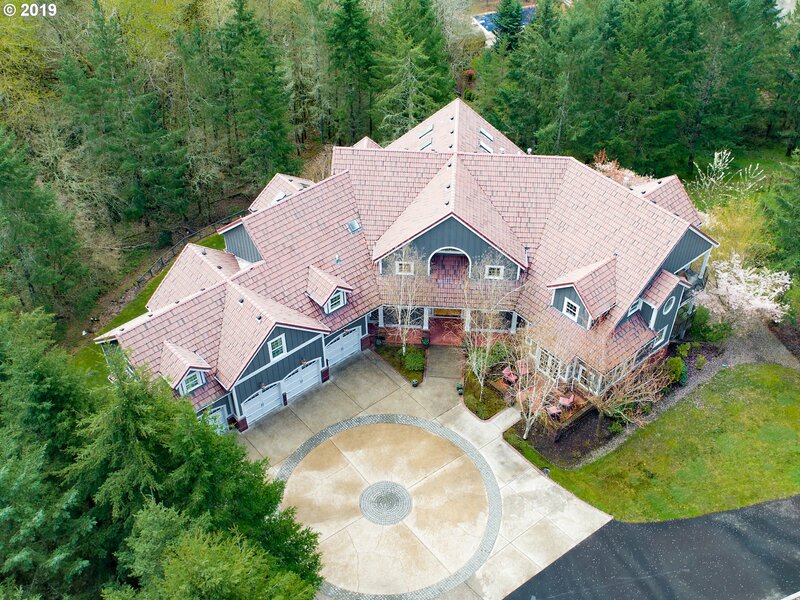 "Discover the Peach Cove/Hebb Park area of West Linn & you'll want to see this timeless jewell - gated & set back in a lush landscape w/infinity pool, equestrian set up & main level living w/extensive entertainment areas; indoors & out. Boat launch just minutes away on the Willamette River. 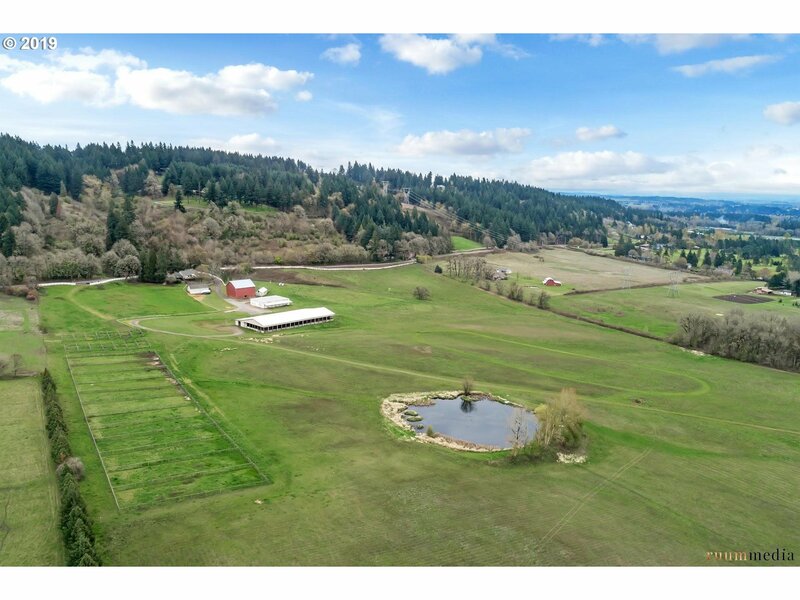 Quiet, peaceful country living at it's finest yet just 10 minutes to freeway access in Wilsonville or Willamette. Custom finishes throughout!!" "This is a proposed home in a perfect location for your dream build! Use this plan, or bring your own, or the builder will draw you a custom plan fit to your wants and needs! Two acres in this beautiful Stafford location." "Country Living with Modern touches over looking Stafford and West Linn. A paved drive way leads you into this Gorgeous home on just under 5 acres. 4 bedrooms includes 2 master suites + a Den. 4 Car garage with a automatic 16kw backup generator. 20' High entrance leads you into a great room feel with Kitchen, Dinning and family room, while enjoying spectacular northern views including Mt Saint Helens." "Down a quiet country road... Exceptional opportunity to build on a beautiful 5.5 acre parcel in the heart of Stafford w/quality Luxury Builder - has great history in the Stafford area. Mountain & valley views! Approvals for well & septic are in place." 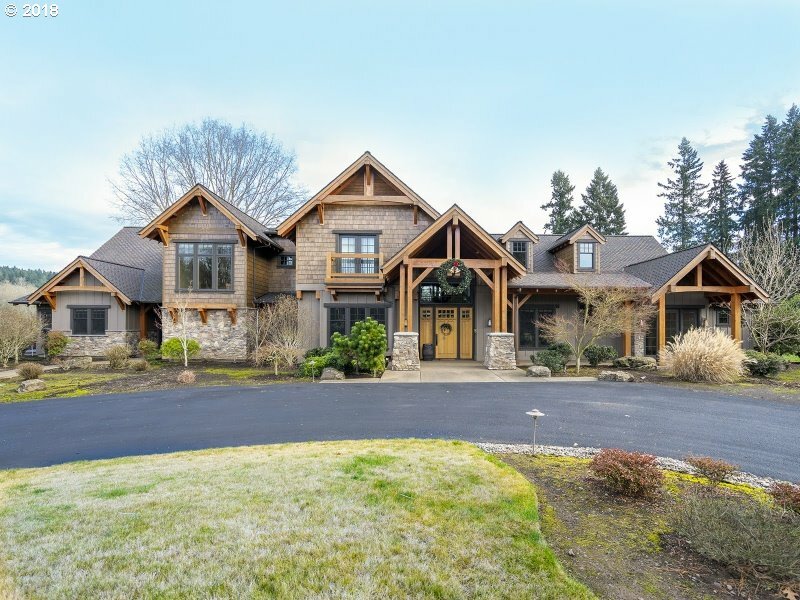 "Stunning custom home in West Linn! Enjoy the serenity of the mountain life with all the perks of being close to town. This 5 bedroom, 3.5 bath home boasts open living areas throughout, gorgeous oak accents, and ample natural light from the plentiful, oversized windows. Featuring a personal sauna, wraparound porch, chef's kitchen, two private decks off the master suite, and huge shop, this one has something for everyone!" "Built 1986, a Street of Dreams design. Home has been extensively renovated w/custom craftsman detail. Includes rich blend of natural wood, slate, marble, granite. Enjoy panoramic distant view w/spectacular sunsets across Sandelie Golf. Manicured grounds w/multiple patio spaces,built in BBQ for entertaining. Water feature, playground, 3K SF organic garden. Companion building w/shop,garage and finished flex space." "AMAZING Willamette River AND mountain views! Tualatin riverfront, private Petes Mtn/Stafford 12.98 acres. Your own park - could be horses or vineyard. Entertaining floorplan with tons of light. Lower level is perfect for separate living quarters w/second kitchen, family room & bedrooms. New deck, in-ground pool, gated entry. Near OR Golf Club, wineries, Historic Willamette shops & restaurants, parks, boat launch, award winning schools." 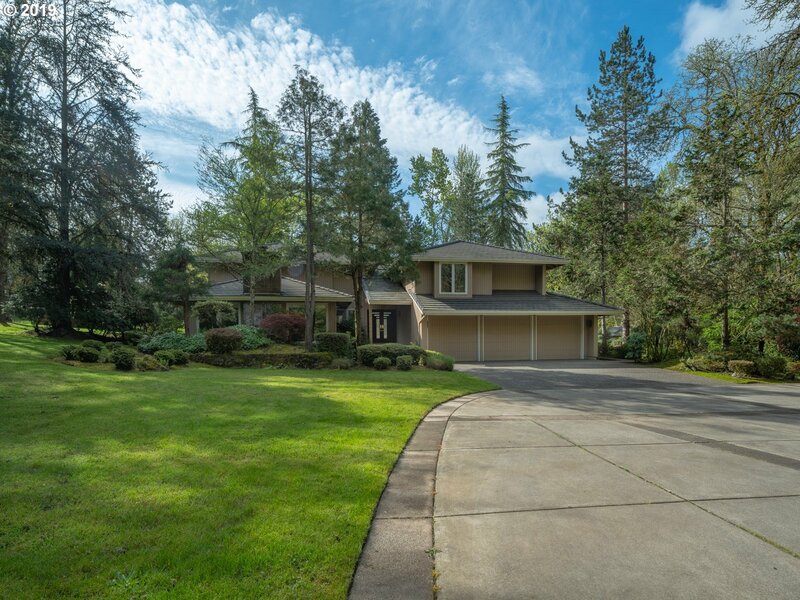 "PRIME LOCATION, tucked away in West Linn's exclusive Ashdown Woods Nhood, this spacious NW Contemporary 3 bed, 2.1 bath family home shines, boasting an attached three car garage, open flr plan, formal LR & DR, family room, large remodeled gourmet kit w/ slab granite ctrs, pool/bonus room/wet bar, first flr large master suite w/ balcony, 2 bedrooms and great size den/4br, in-ground pool & spa. Must see!" "Build your custom dream home on 2 acre estate lot. Coastal views, southern exposure and great schools. Minutes to I 205. The builder has selected this plan due to topography of lot. You pick the style, layout & square footage." "New Construction Riverfront Coastal Architecture on nearly 6 acres in West Linn. Streaming sunlight through floor to ceiling windows with waterfront views, gleaming quartz and granite counters, custom white cabinetry and millwork thru-out including in the main floor Master suite. 5 bdrms/4/2 full/half bths, 3 frplcs. Covered main patio area and private patio with river view at the master. High-end stainless appliances, oversized garage"